I've been looking for a camcorder for quite some time now, and happened to stumble upon this one on Craigslist. Seems to be pretty decent so far, I've only had it in my hands for about an hour now but I think I'll be very happy with it! 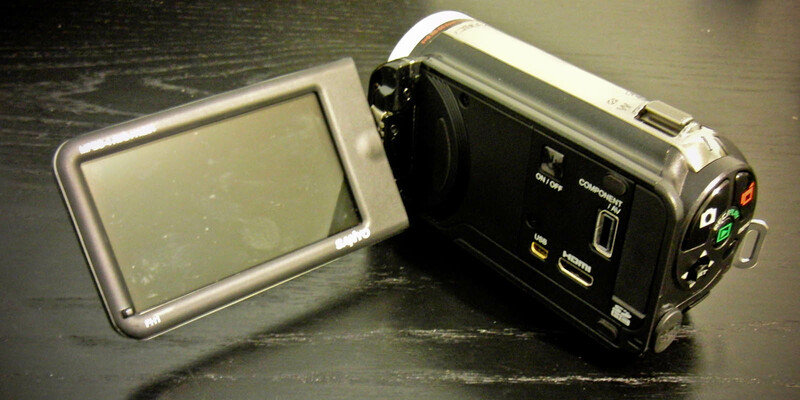 It uses SD cards, no need for tapes, no need for DVD's, and no need for a harddrive, so it's pretty small! It'd be easy to carry around and stuff, I need to get a case for it, and an extra battery probably, and a fisheye lens (I really like the wide angle fisheye look, so I really want it hah) and I think I'd be set! For such a small camera, it's got a load of functions, it can take up to 8MP pictures, and the macro function on it is quite impressive, WAY better than an actual digital camera I've been using. 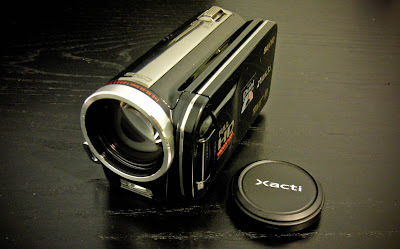 It does the whole slowmotion videos same as my old camera, AND it also does full HD 1080p with 60fps with sound!! I'm gonna have a LOT of fun with this camcorder! I hope.. I hope it doesn't just sit around getting no use haha..